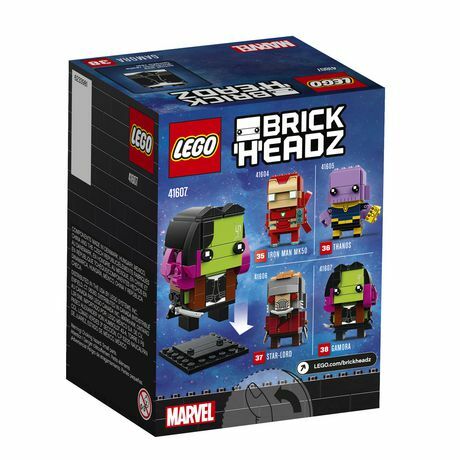 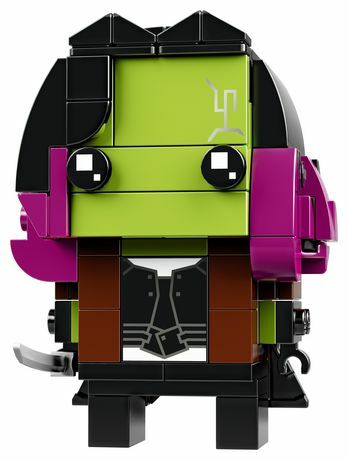 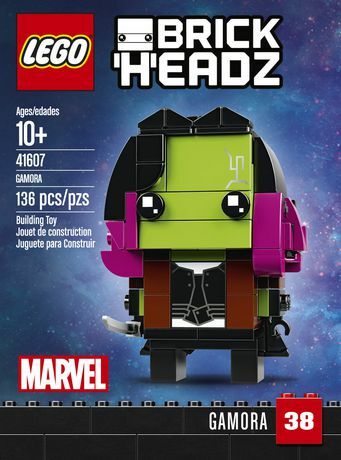 This Gamora LEGO® BrickHeadz construction character is fun to build using colorful LEGO bricks that recreate all of her iconic details from the blockbuster Avengers: Infinity War movie, including green skin, dark pink hair highlights and black outfit. 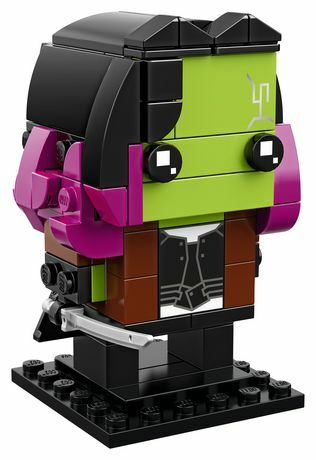 She also has a detachable sword and stands on a buildable collector’s baseplate for easy display in your home, office or anywhere you like. 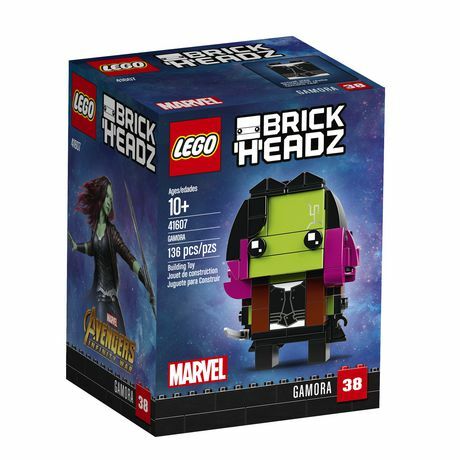 Build Gamora, from the Avengers: Infinity War movie, with this fun LEGO® BrickHeadz construction character with vibrant green skin, detachable sword and display baseplate.